Do you know and understand of all your legal obligations as an employer, and have the right procedures in place to follow them through? When employees test the waters with a personal grievance, Business Central Legal are here to help. 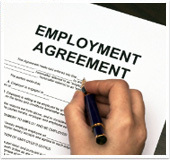 We offer representation in all employment law matters. Business Central Legal provides your best return on investments for legal advice on employment law matters. Our team of lawyers are only available to members, and can help solve your tricky issues. While you may think of lawyers as representing people in court, this is far from everything they do. Employers take advantage of the value of the Business Central Legal team to help in drafting documents such as tailored employment agreements and offers of employment. Additionally they can help with key guidance on difficult issues such as restructuring processes and rock solid performance management plans. Call AdviceLine on 0800 800 362 and and they will connect you with the legal team.